The great 100-Chapter Chinese novel known in the English-speaking world as “Journey to The West” is considered one of the four great works of Chinese literature. The tale covers literally thousands of years and features hundreds of legendary deities, demons and spirits from East Asian religions and folklore. The most famous and beloved of them is the book’s central character – Sun Wukong, The Monkey King. There are three primary sections to the saga; the first being the seven chapters explaining Sun Wukong’s origins. He is born from a rock on the summit of Flowers and Fruits Mountain (Mount Huaguo) on an island in the Eastern Sea and goes on to become the king of the monkeys. 300 years later, he learns the way of immortality and various other powerful magical skills from an immortal wise man (Master Subhuti) far away from his home. When he returns, he trains his monkeys into a lethal army and single handedly takes the powerful Ruyi Cudgel from the Eastern Dragon King. He then cancels his and all monkeys’ names from the Book of Life and Death, releasing them from the endless circle of death and rebirth. This triggers a series of events, which includes Wukong defeating the Heavenly warriors sent to capture him, getting a post in Heaven only to leave it in anger when he finds out it has no rank whatsoever, returning yet again as The Great Sage Equal of Heaven, and lastly, committing a series of crimes. He steals quite a variety of things, including the Heavenly peaches, the dishes prepared for an important banquet, all the holy wine, and the pills of immortality created by Lao Tzu. This results in a terrible war between Heaven and Flower Fruit Mountain. Wukong is captured and punished. As no weapon or lightning can harm him, he is burnt in Lao Tzu’s furnace for 49 days, which only manages to transform his eyes into Golden Fiery Eyes and make him really angry. So when the furnace is opened, he leaps out of it and proceeds to wreck total havoc in Heaven, fighting thousands of Heavenly soldiers by himself. But the Heavenly Jade Emperor asks the Buddha for help, who traps Wukong underneath the Mountain of Five Elements. The first section ends with him sealed in the mountain where he is to remain in solitary confinement for 500 years. The second section is about the origins of the monk known as Tang Sanzang which actually means Tang Dynasty Tripitaka Master. 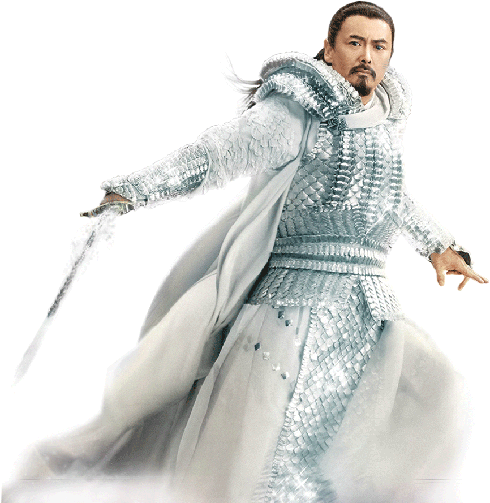 Thus he became known as Tripitaka in some versions of the story, particularly in TV and movies. Tripitaka is actually the name for three main texts which form the scriptures of Buddhism. As a child Sanzang’s father is killed and impersonated, and his mother taken away forcibly by thieves. Sanzang himself is abandoned to float down a river by his mother to prevent him from being killed by the thieves. Luckily, he is found by the head monk of a monastery. Eventually, he manages to save his mother and revenge his father. His father is resurrected by a dragon king. This section also features the Tang Emporer, who fails to save another dragon king, resulting in his death. He manages to return to life, and holds a religious ceremony, ‘Shui Lu Da Hui’, for the dead. The now grown-up Sanzang is chosen to conduct the ceremony. The Goddess Guanyin and her disciple disguise themselves as monks and tell him to go to the Western Heaven to fetch the holy scriptures. They then reveal their true forms and leave. Thus Tang Sanzang begins his pilgrimage to the Western Heavens. Once the origins of both The Monkey King and Tang Sanzang are explained, the third section brings them together for their westward journey. Sanzang rescues Sun Wukong from the Five Elements Mountain. They meet Zhu Bajie (“Pigsy”) and Shawujing (“Sandy”) who later become Sanzang’s disciples. Throughout the journey, Sanzang is regularly attacked and kidnapped by demons who wish to gain immortality by eating his flesh. The journey is filled with difficulties, battles with attacking demons, and various mystical adventures. Sun Wukong is the strongest of the group and the main fighting power, but he faces conflicts with his master a few times because of his tendency to kill. Pigsy is significantly weaker, and is also lazy, greedy and lustful, though a great help when fighting demons in rivers or seas. He and Wukong are constantly quarrelling and Wukong loves to trick him. Sandy is the weakest one, but he is hardworking and patient. He also does his best to help his elder brothers. The climactic fourth section is also the briefest. The travelers finally reach the Western Heavens and bring back the scriptures to China. In the end, Tang Sanzang and his band of disciples are rewarded by attaining Buddhahood.